During October, one-on-one trials continued in the first stage of the professional skill of the All-Ukrainian contest “Teacher of the Year”. 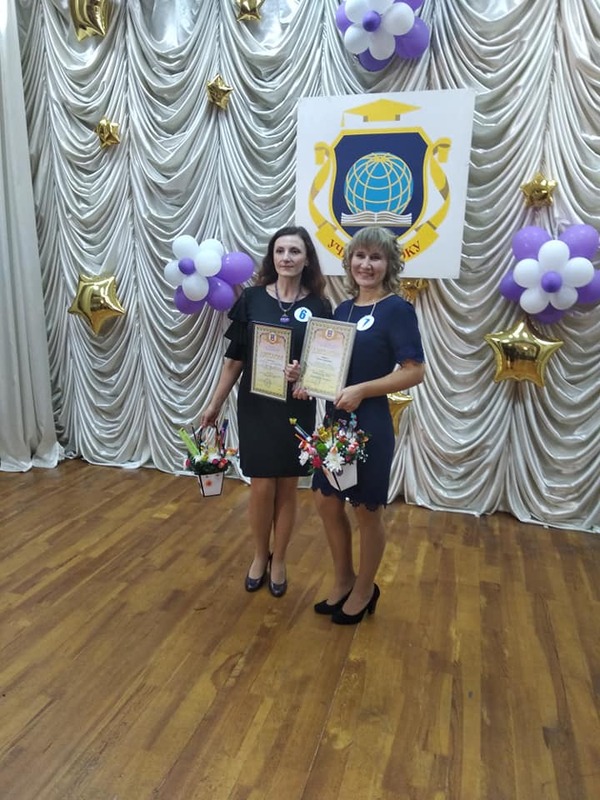 All-Ukrainian contest “Teacher of the Year – 2019″ is carried out in pursuance of the Decree of the President of Ukraine of June 29, 1995, No. 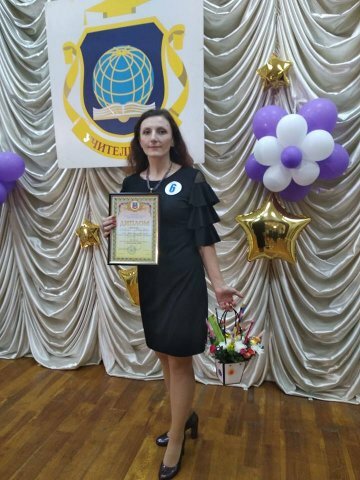 489 “On the All-Ukrainian Contest” Teacher of the Year “. Every year our teachers take part in the celebration of professional craftsmanship. According to the order of the Ministry of Education and Science of Ukraine dated June 7, 2018, No. 603 “On conducting an all-Ukrainian contest” Teacher of the Year – 2019 “, teachers of this category take part in the nominations:” Teacher of the Inclusive Class”, “Geography”, “Motherland Protection” and “French language”. 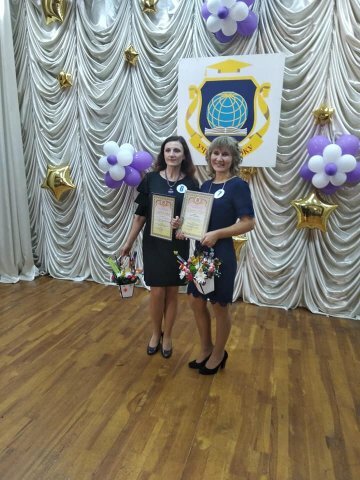 The two teachers of our school passed the first stage, which ended with the final performance on the stage of the Teacher’s House, Draka Oksana Vasylivna and Harazhun Liudmyla Viktorivna. An important component of the success of educational reform is the readiness of teachers to change, to a new style of educational activity, to constant self-development and self-education, and our teachers proved that they are worthy of the high name “modern teacher”. The lessons learned, the presented methodical rays proved that they are unique, creative, and confident in their power teachers, creative statements about themselves, to demonstrate their professional competence and pedagogical skills. 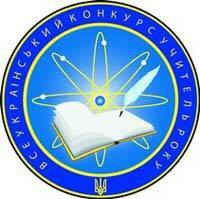 Competition “Teacher of the Year-2019″ is intended to promote the implementation of the conceptual provisions of the New Ukrainian School. We have to work ahead, because we live in a very dynamic and fast time. Competitive trials have been designed to identify real agents of change: those who focus on a competent school who understand that it is very important to find an adequate language today when communicating with students and pupils. In the nomination “The teacher of the inclusive class” became a worthy title “Creativity” – Harazhun Liudmyla Viktorivna. 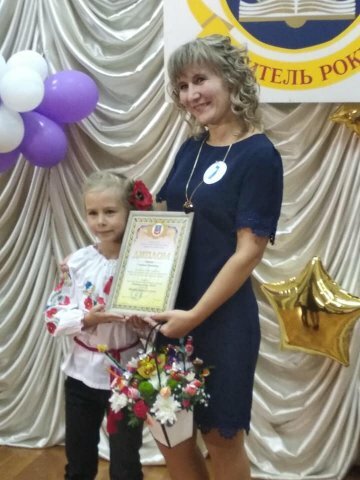 The title of the urban stage “Teacher of the Year” won the teacher of the French language Draka Oksana Vasylivna. We congratulate all our teachers on our finalists in the city stage and wish new victories at the second regional stage. Good luck to you, colleagues!